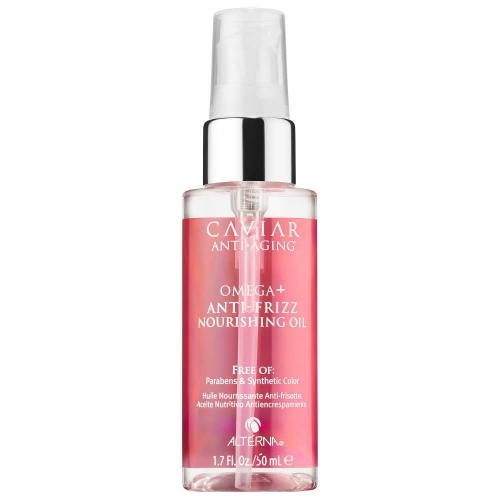 The Caviar Anti Frizz Dry Oil Spray instantly add shine while taming your frizzy hair. This lightweight mist infused with anti-ageing caviar extract and a blend of replenishing Omega oils leave hair soft and silky smooth to the touch. A blend of Marine Botanicals provide exceptional moisture and help repair damaged hair and Color Hold technology locks in hair colour and helps to prevent colour fade. Directions; Spray over damp or dry hair to eliminate frizz.